Researchers are predicting West Antarctica could be half its size in 200 years. 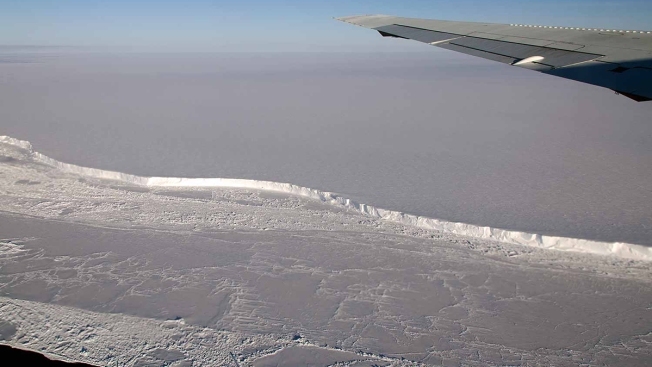 Antarctica’s floating ice shelves have thinned by as much as 18 percent in the last two decades, and the melting is picking up, according to research released Thursday by the Scripps Institution of Oceanography. The study, published in the journal Science and supported by NASA, examined data to find out how climate change is affecting the Antarctic ice sheet. Ice shelves are created through glaciers flowing off Antarctica, combined with compressed snowfall, but they can be lost by breaking off or melted from warm water. Taking data from three satellite missions by the European Space Agency (ESA), researchers merged the measurements to find out how much the ice changed from 1994-2012. The total ice shelf volume didn’t vary much from 1994-2003, but from 2003-2012, it started to melt quickly, the study says. While all ice shelves decreased during that time period of time, specific areas saw an 18 percent decrease. Because of this, researchers are predicting West Antarctica could be half its size in 200 years. Future studies from the group will focus on the causes behind the ice shelf changes, such as atmospheric effects like El Nino.